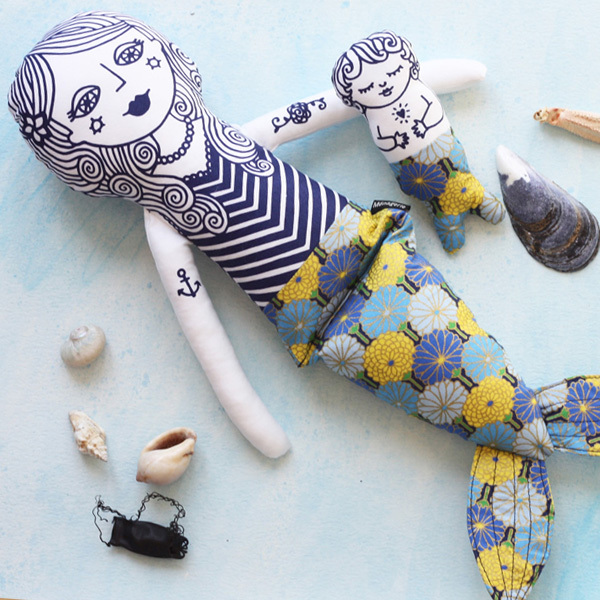 Mermaid Pearl and her merbaby are cloth dolls. 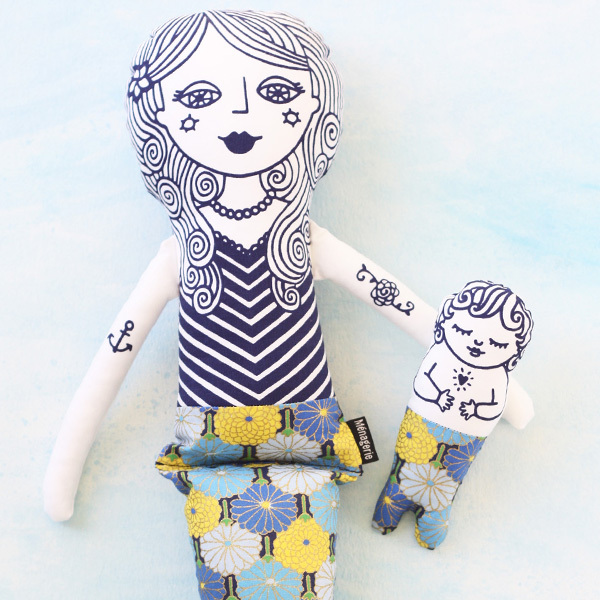 She is an original design and inspired by decorative vintage Scandinavian illustration, and kids play. She is made from a soft white 100% cotton, and stuffed with the best quality poly toy stuffing. The designs are screen printed on the fabric in navy water based eco-friendly ink. 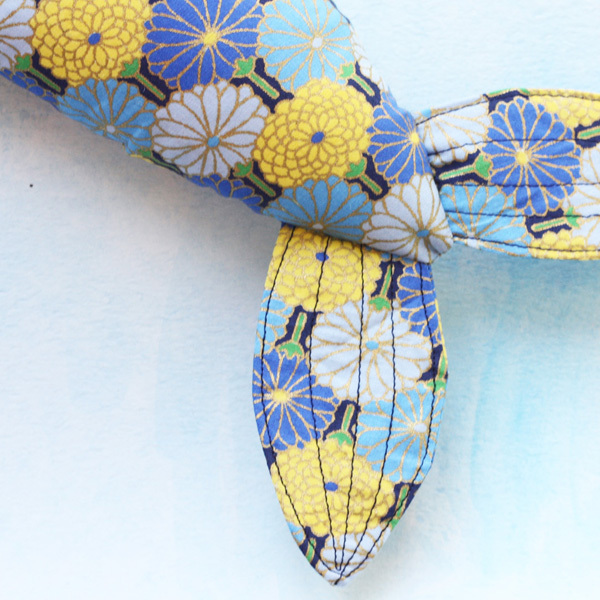 Her tail is made from 100 cotton fabric in a limited variety of designs. 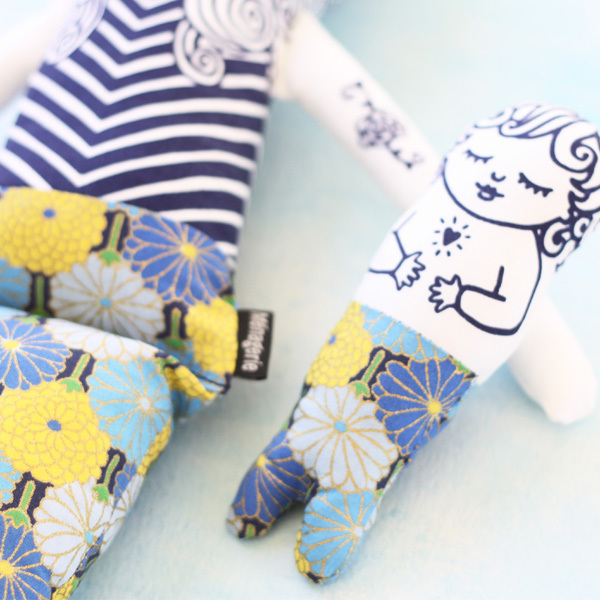 Note: This listing is for a mermaid and baby set with a yellow and blue floral Japanese cotton tail, as pictured. Notify me when Mermaid Pearl set Mermaid Mama Pearl and her merbaby is available.